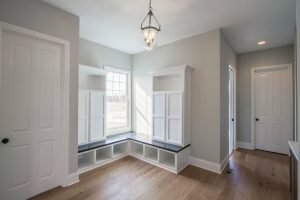 As a custom home builder serving Northern Indianapolis for more than 20 years, Executive Homes has a passion and commitment to build their client’s dream home. Whether you dream of living in one of Indy’s most prestigious communities, in a secluded getaway on your own private acreage or renovating your existing home, Executive Homes is committed to building a home that is as unique as you are. With a team of dedicated and seasoned industry leaders, the details of every home are carefully managed and each client is served with thoughtful insight and guidance to make each experience positive. “Building strong relationships is the key to our success as we believe authentic relationships with our clients, employees and trade partners help to build the best home for you,” says Executive Homes President, Pete Gray. Not only does he believe in Executive Homes, but also in the Indianapolis trade industry. Gray has been an active member of the Builder’s Association of Greater Indianapolis for many years and was honored to serve on the Board of Directors for 16 years. Along with a solid team of professionals, the company has also partnered with unique vendors throughout Indianapolis to form an even more personalized touch to the experience. 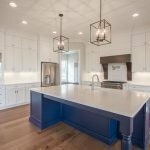 If you’re interested in building or renovating and would like to learn more about the process, visit Executive Homes’ website at executivehomes.bz for details on their available homes and lots, what to expect step by step when remodeling and extensive images of the firm’s beautiful portfolio. Ready to get started on the next big move (or home improvement) for your family? The experts at Executive Homes are ready to answer all questions and help make your dream home a reality. Give them a call at 317-919-7293 today.